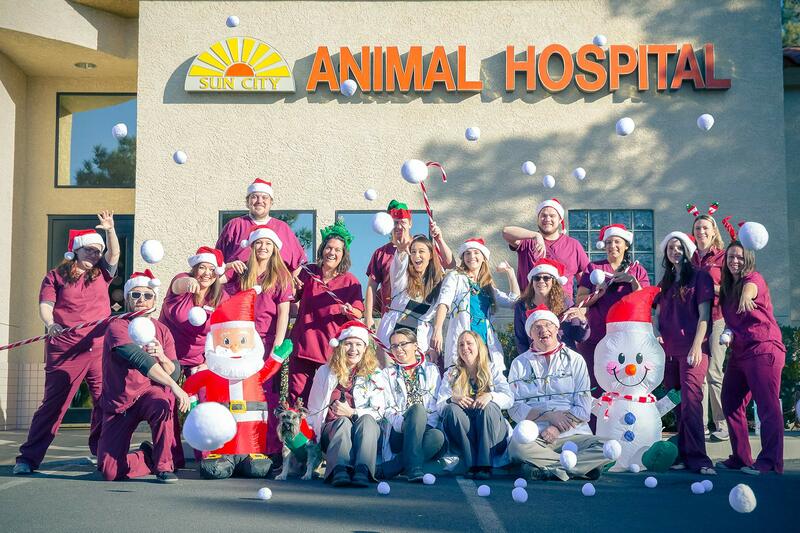 Sun City Animal Hospital was established in 1993 as a full-service veterinary hospital, providing care for dogs and cats in the Summerlin/Sun City/South Shores area of Las Vegas. As the community flourished, the hospital has grown to a five doctor practice offering services 7 days a week. We offer scheduled appointments as well as walk-ins. We are a full service animal hospital that cares for dogs and cats. We offer appointments but welcome walk-ins as well. Our services include exams, consultations, preventive care, low cost vaccinations, diet recommendations, junior and senior pet wellness care, dental and surgical procedures, and boarding. Additional clinic services include digital radiology, ultrasound, therapeutic laser treatments, and breeding consultations. Dr. Knehr joined the hospital as the medical director in February 1998, after gaining experience at two other veterinary hospitals. He is a native of New Jersey and has lived in Las Vegas since 1994. Dr. Knehr is a dedicated member of the community both in his personal life and through Sun City Animal Hospital. He has been actively involved in helping special-needs children through Nevada Early Intervention Services, Alexander Graham Bell Nevada Chapter, and was a governor-appointed member of the Nevada Interagency Coordinating Council. Under his direction, Sun City Animal Hospital has become a source for both veterinary health care and education in the community. At Sun City Animal Hospital, our mission is to provide compassionate care for the best quality of life for pets and their human families. Our skilled veterinarians have a wide variety of interest areas, from stem cell therapy to critical care. Working with animals requires patience, understanding, and above all compassion; both for the animal and for their owners. For this reason all the staff at Sun City Animal Hospital have a common bond; a daily goal to give our clients and their pets the most up-to-date and best possible medical care. Each one of our staff is committed to this goal, making Sun City Animal Hospital a wonderful environment to work in. We hope you will feel this commitment from us when you visit, and come to trust us with all of your pet care needs. Email us with questions at info@suncityvet.com or call us at 702-228-4411.